Here you will find everything related to be mobile in Barcelona: the comfortable or check-out transfer, on request with private city tours, multi-day tickets for public transport, tickets for the Shopping Express, ferry booking and more. The Hola BCN! 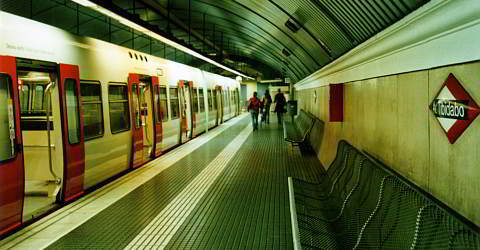 ticket includes free usage of the metro, tram, public busses (TMB), commuter trains (FGC) and regional trains (Rodalies). The ticket is valid for the entire city area of Barcelona. You can use the Hola BCN! 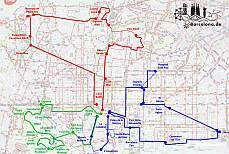 for public transport from the airport El Prat de Llobregat as well. 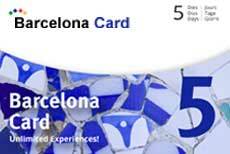 For only € 4.50 more per day, the Barcelona Card offers up to 5 days free public transport in Barcelona (also from the airport) and in addition over 90 free entries and benefits for activities in Barcelona. Ideal for your city trip! Here you can book transfers from Barcelona and Girona airports, a combined transfer with a sightseeing tour or a departure trip. You will also find information of the public transport from both airports. 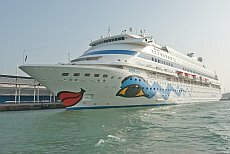 Barcelona is one of the most important ports for cruise ships in the Mediterranean: it is where the ships of the Aida, Royal Caribbean or MSC dock. The piers of the cruise ships are located near the city center. Here we describe how to get to and from the cruise port. Here you will find out how to use public transport in Barcelona and how be mobile effectively and quickly. With the chauffeur service and the inner-city transfers, you book a comfortable way of getting around. 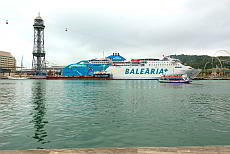 Here you can book the ferry from Barcelona to several destinations in the Mediterranean: Mallorca, Ibiza, Genua, Tanger and Mahon. You have the choice between reclining seats or several cabin categories. 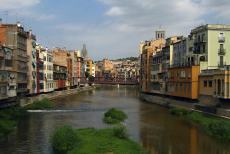 Here's how to travel from Barcelona, Barcelona Airport El Prat de Llobregat and Girona airport to destinations in Catalonia. By public transport you can travel quite easily and conveniently to Lloret de Mar, Girona, Sitges, Castelldefels, Montserrat, Tossa de Mar and many other places.